A car full of children asking "are we there yet?" Peace River's Misery Mountain and other local resorts. 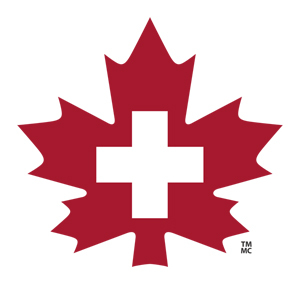 The CSP is Canada's leader in certifying ski patrollers and advanced first aid personnel to our on-snow resort partners. To promote safety and injury prevention and to provide the highest possible standards of education, certification and delivery in first aid and rescue services to the snow industry. The first-class patrollers we are today can be credited to Dr. Douglas Firth. In 1940, his vision was to create a "national cooperative movement to be run by skiers, for the benefit of skiers" (The Canadian Ski Hall of Fame). Under his guidance, the CSP was based on a successful model from the United States that included first-aid training was developed. In 1961, CSP was accredited. Firth was eventually appointed to the Order of Canada. Join the long and well respected group carrying out Firth's vision for recreational, safe skiing. No, the mountain was not named after the ski patrol! There are however a few versions of how the ski hill earned its name. Some suggest that the fur trader, Alexander Mackenzie, christened Misery Mountain. Others say it was named after the wolves, howling on the moonlit, snowy peaks of the mountain that kept Mackenzie's crew in misery night after sleepless night. Both explanations centre on the mystery and majesty of the mountain. Come join us, howl from the peak with the rest of the pack! So - your boss says you need first aid? The CSP First Aid program has been accredited by the Federal Government since 2005. In a nut shell what this means for us is that our first aid will be recognized in our workplaces in addition to on our hills. We welcome any questions and inquiries and would be thrilled to have you on board.